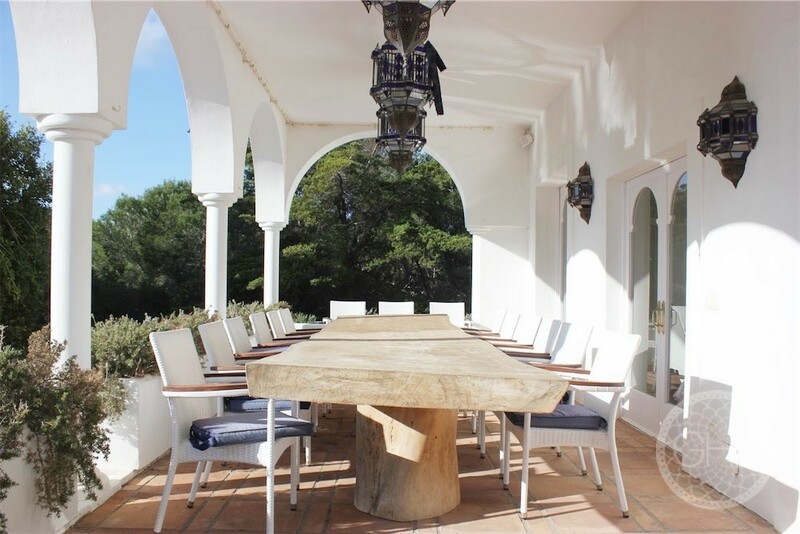 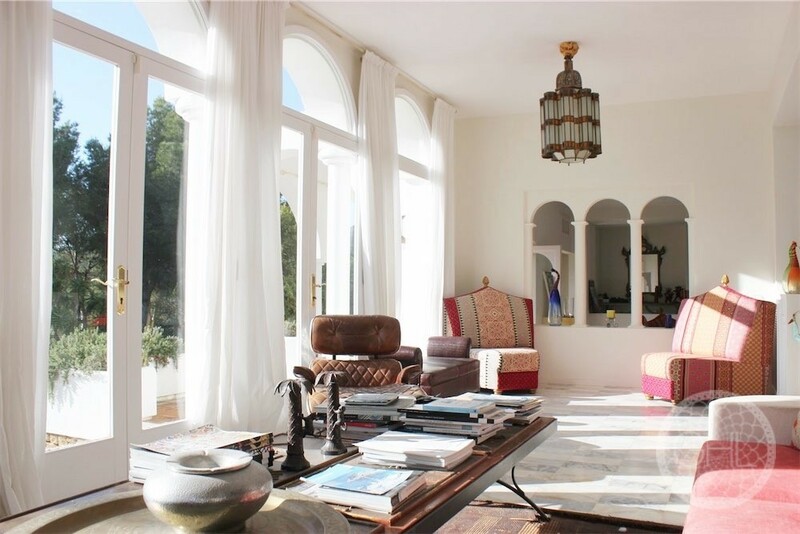 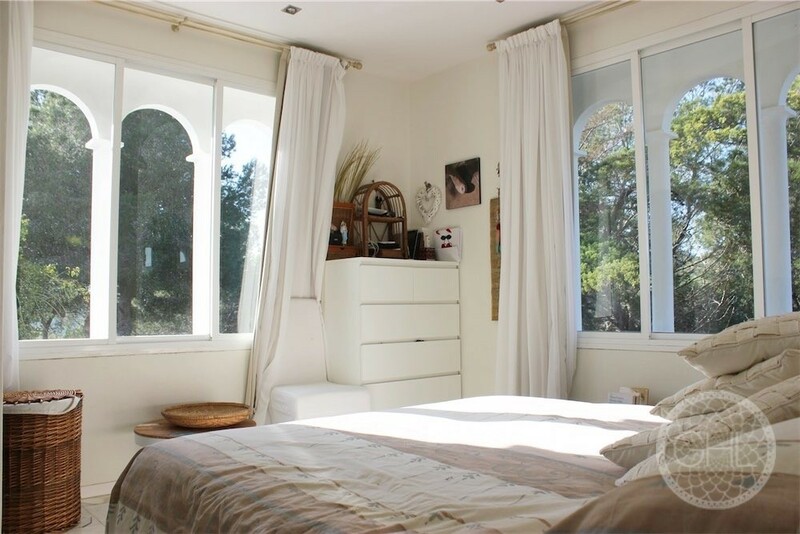 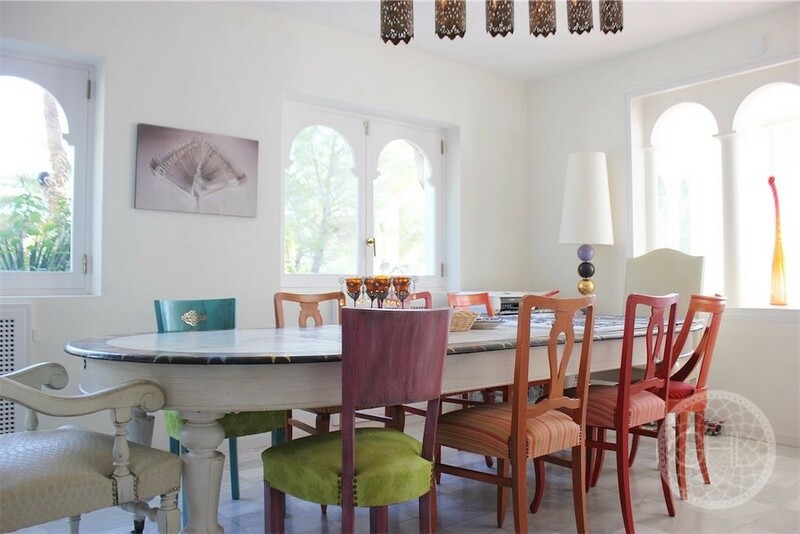 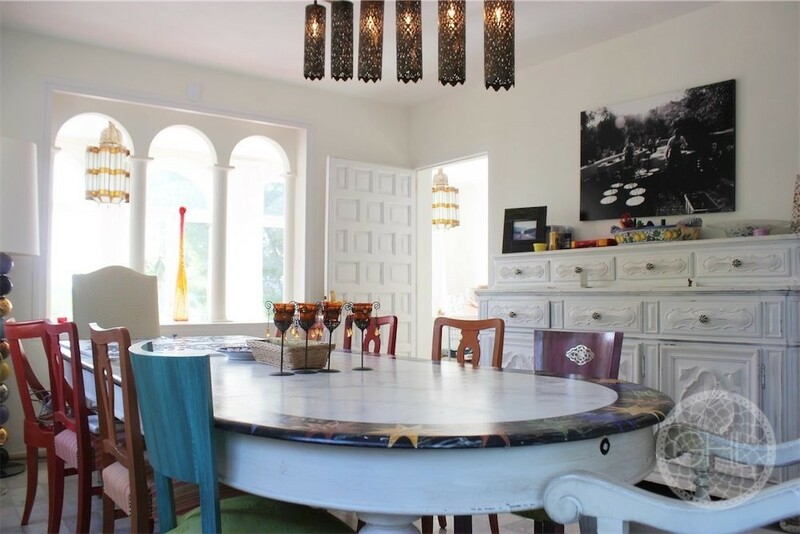 This property is situated in a prime location, on the slope of a mountain, between Santa Eulalia and Ibiza town. 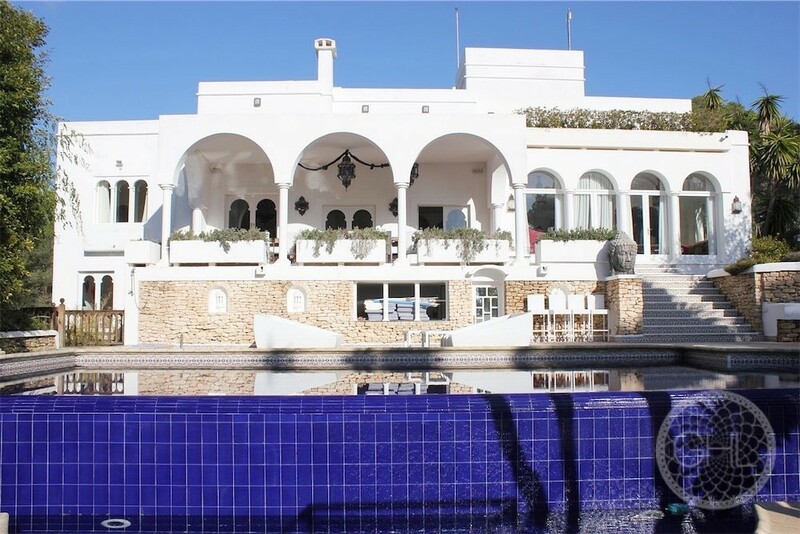 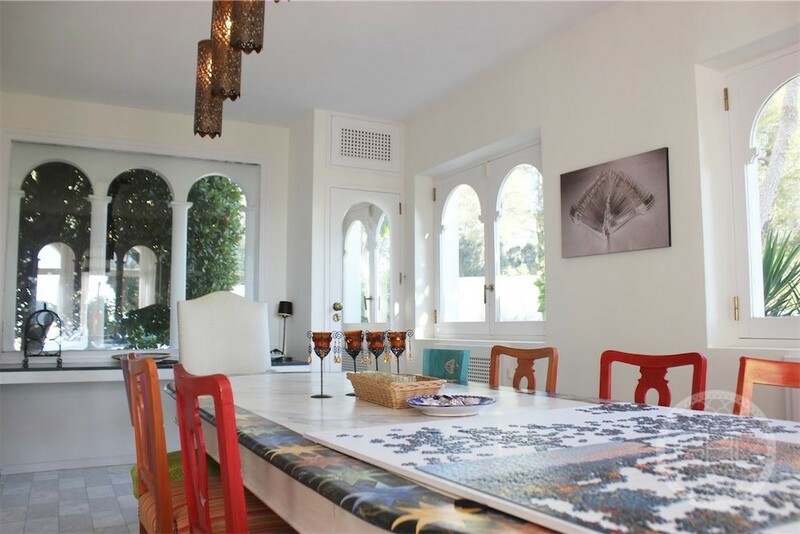 It boasts intricate Moroccan architectural details and encompasses an impressive built area, with sumptuous gardens and terraces to enjoy the sensational sea and mountain views. 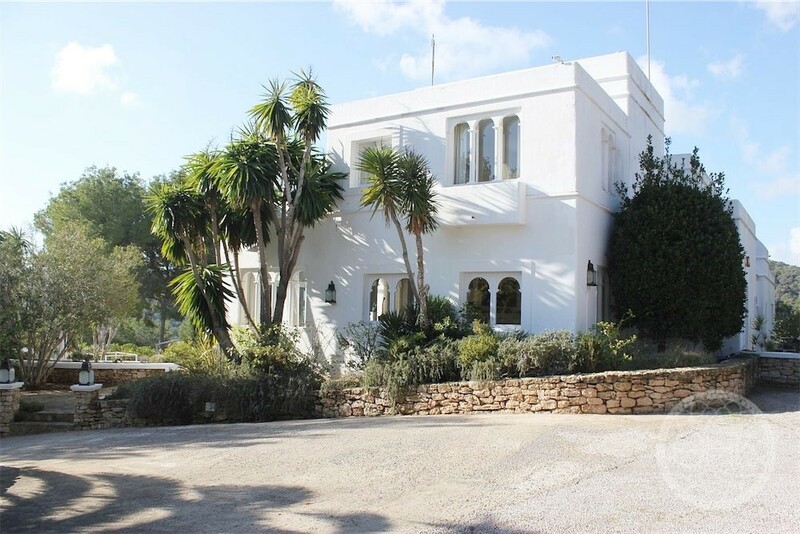 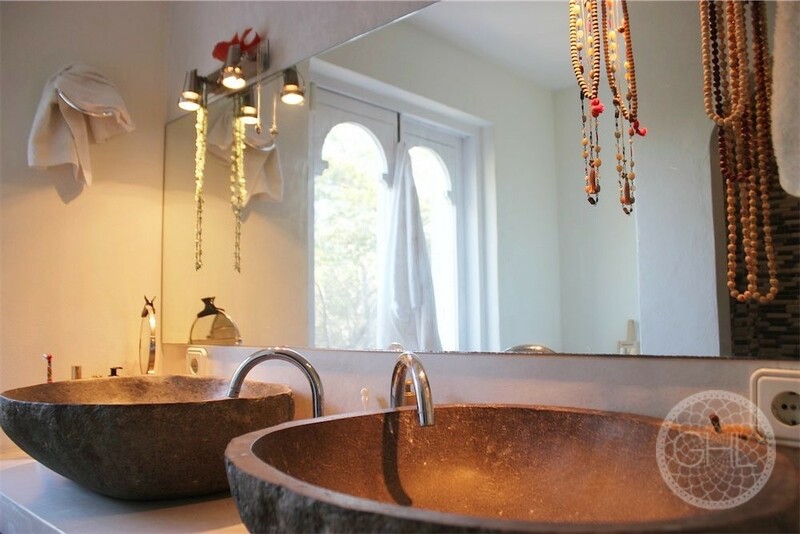 The main villa is composed of three floors that include nine bedrooms, all en suite, a kitchen, dining room, and an additional guest or staff house with its own bathroom. 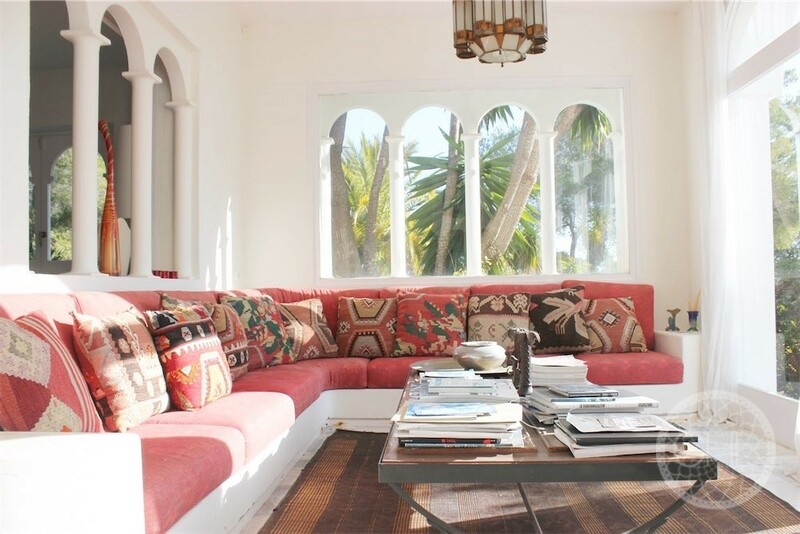 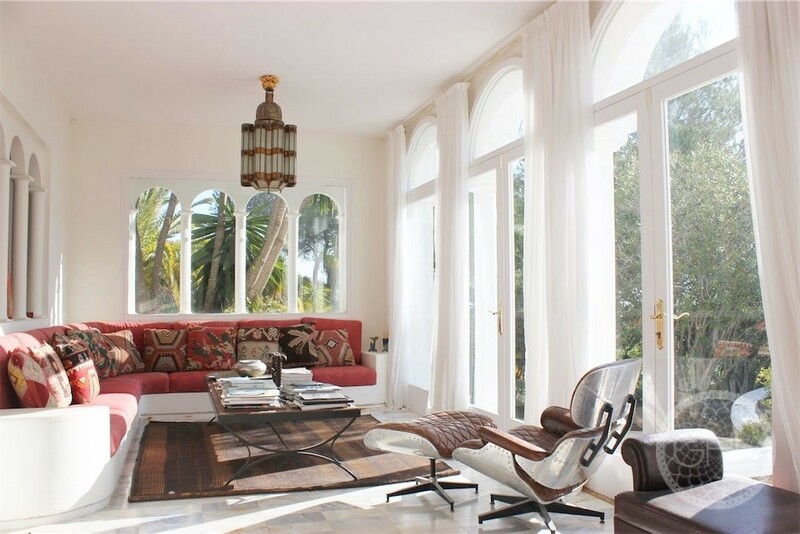 This grand villa offers a life of style and comfort.